Occasionally we have to inject a little humor into our business. We ran across a great brand of great body suits that make us laugh everytime we look at them. They are checking out fast! But we still have a great selection to choose from. -Adult Supervision-The best and foremost-is direct supervision when you are using a juvenile product. -Read Instructions and Warnings-It may seem basic but the manufacturers put them there for a reason. You might be surprised by what you do not know! -Safest Option-Make sure that what you are using meets all current safety standards. -Inspection During Use-Make sure that you are using the item correctly all the time. Are the straps tight enough? Are there any tears or holes? -Discontinue Use-Stop using the product when your baby reaches the limits defined by the manufacturer. Babyproductexperts.com of which we are a five star member is a great site for checking out the latest information re:baby products. It offers great suggestions, current safety news and coupons. Check it out! Our hours (including Martin Luther King Day) are 10-6, Monday through Saturday. See you soon! PSST! It’s our Semiannual Sale! Wow! Our Semiannual Sale starts Tuesday, January 12 at 10 AM. 40-60% off selected summer and fall clothing, shoes, baby items and carseats. Stokke Tripp Trapp highchairs will be $50 off. One of the most joyful moments in our life is the birth of a new baby. However, more and more babies are born prematurely. 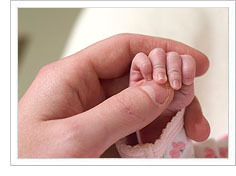 It is miraculous what our neonatal units can do with the tiniest little ones. More and more are coming home from the hospital in great shape but tinier than the typical newborn. Bringing a low birthweight baby home from the hospital can mean extra logistics. The recommended weight for a child in the Britax Chaperone carseat is four pounds and includes a special insert for preemies and newborns through 11 Ibs. We carry preemie clothing, socks, undershirts, diapers and christening outfits by Preemie Yums, Under the Nile, Vitamins and more. What a blessing to finally bring a tiny one home! You are currently browsing the Junior Towne Blog weblog archives for January, 2010.